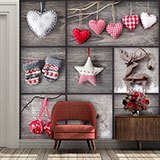 Wall mural Collage Christmas Decoration. 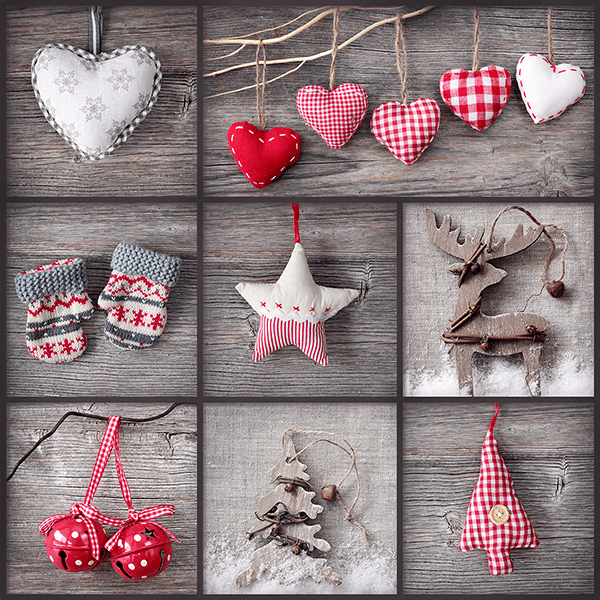 Funny composition of Christmas decorative elements perfectly combined. 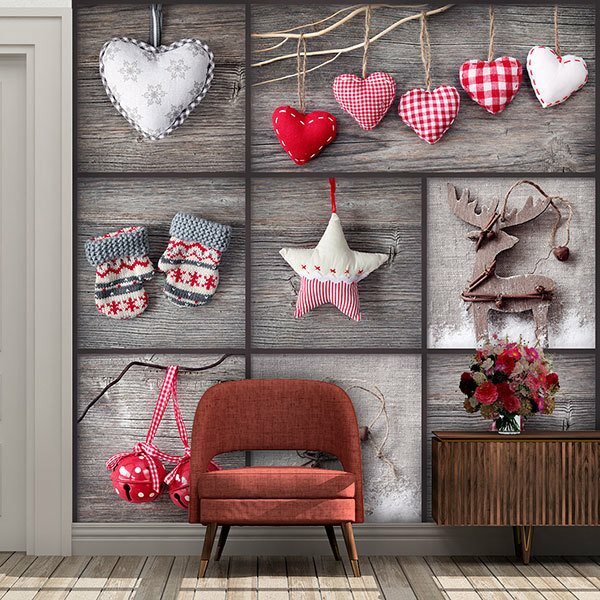 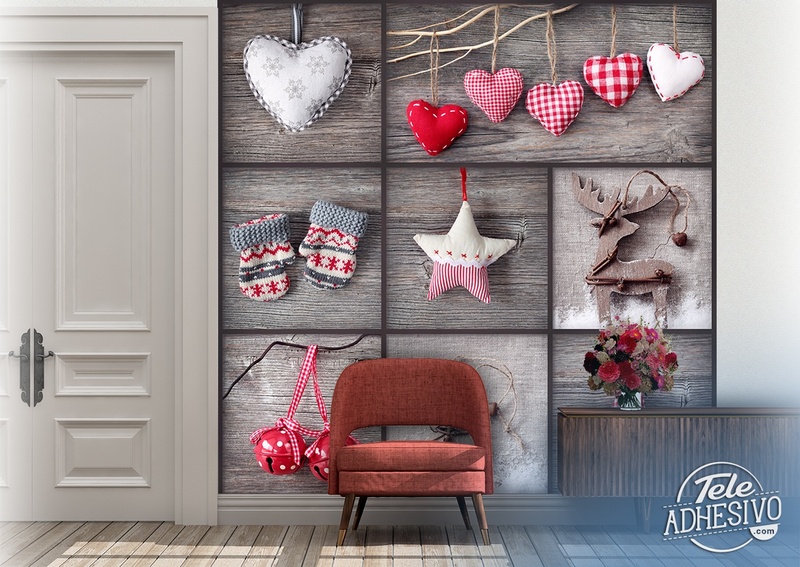 Decorate with this image of stars and hearts with coloured fabrics of different motifs, small gloves, rattles, a reindeer and a wooden tree.